Contact us for a free estimate or come visit us. How to choose among hundreds of choices for materials, colors and finishing? Our experts are here to guide you in your choices and inform you of the latest trends, innovations and all the options available to you. Whether for a kitchen counter, bathroom vanity, fireplace contour or an outdoor kitchen, let us help you make your plans a reality. A beautiful stone with a unique charm offered in a beautiful variety of hues. A granite countertop is definitely a luxurious choice! The hardest and most resistant natural stone created by Mother Nature, quartz counters have officially become favorites in cuisine décor. This luxurious and timeless stone is perfect for classic as well as modern decors. It can be use in kitchens as well as bathroom. Professional service by a thoroughly skilled team is provided each and every time. From selection to installation of your counter, our experts take care of everything! After making your choice, an installer will take the necessary measurements required for your counter. We will then proceed with cut, finishing and installation at your home according to your specific needs. Our service is 100% guaranteed! We have over 5000 square-feet of workshop space to better serve you. Come by and visit and we'll be happy to answer your questions. In order to provide you with the best service possible, we are available by appointment only. 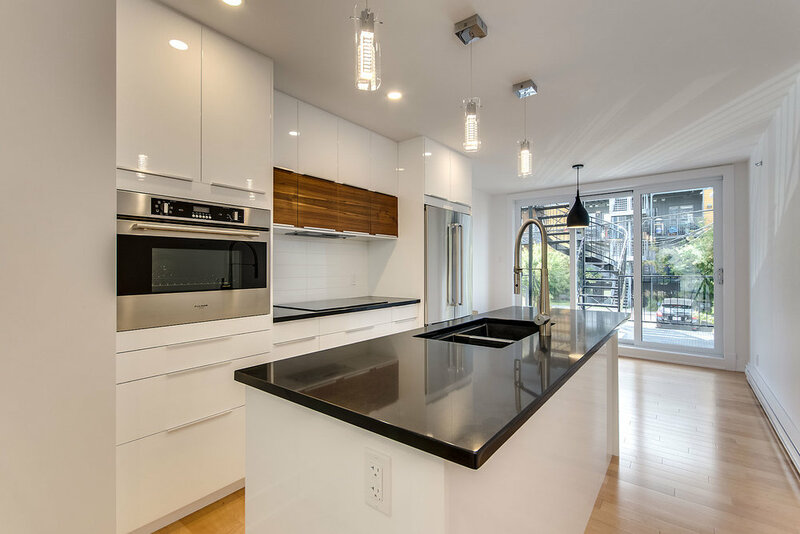 Consultations are free of charge and there is no obligation: that is our way of helping you choose your countertop for a kitchen that would rival the most popular interior decor magazines.